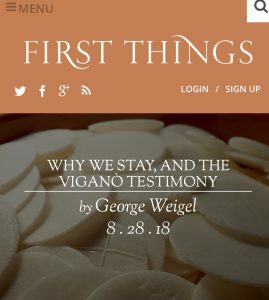 I found this article by George Weigel in First Things to be very insightful and compelling. It is one more voice confirming the integrity and importance of Archbishop Viganó and what he wrote in his 11-page letter. Hopefully you’ll have a chance to read this article.